I took days off, weeks in fact. It was a break - a much needed one. I was straddling the mislabel of physical therapy with a workout. It sure as hell worked me out. I saw cuts and I felt aches - decreasingly so as time went on. The concept of rest days was no longer a foreign concept, nor were the twin identities of protein and power, and carb and cardio. I was determined and developed a routine that inadvertently altered another in-place routine. The after-effects were like tremors before a full-fledged earthquake. My ears were sticking out again. My set of meticulously cared for white teeth, no plaque in sight, began to protrude once more. How can the body be so fickle and yet so robust? So I went in the other direction - Immobility and upped the food intake. The concept of gains reared its head, but not in the way of Kardashian-inspired baggage: the hard shell exterior. This baggage was the far more functional one - the canvas one that has an extra zipper with the option to expand your luggage, increasing the space it takes up by a couple of inches, enabling it to weigh more. Sometimes I’m happy to be the Pillsbury dough woman. If all it takes is a poke to make me giggle, to make me laugh like I used to, then white chef’s hat I shall don- no questions asked. Other times, I don’t want to wear the all white suit with a pouch that sticks out and that rolls with every waddle-like movement. Then again, I’ve been accustomed to a waddle. It’s some new sort of gait that is so unlike me but is required because of the gap between my thighs. I don’t want to start from square-one: to mold and carve new layers of protrusion into something more straight-edged and 2-D. Also, is it a coincidence that the color white is worn when honoring the dead with last rights? Then again, I just purchased white attire for a summer wedding because of its light and airy vibe. So here I am- going back and forth about what I want.There is pent up energy that has to be unleashed. And that’s what I want. 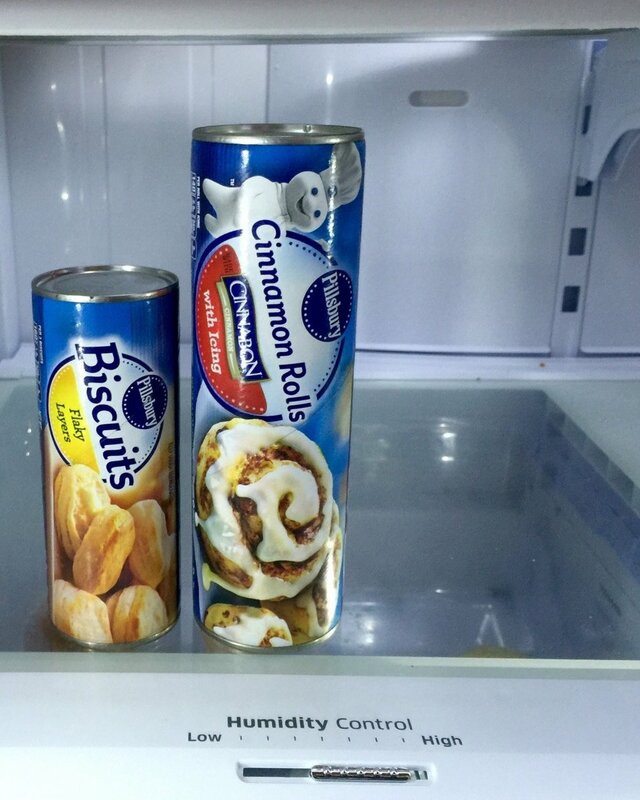 I want to be that Pillsbury cinnamon roll or biscuit cylinder. I want to be unwound and stretched out, my internal layer to be revealed. I want for all of it to take, like a poke of a finger to make me laugh, a fingernail to slit the interior cardboard cylinder, releasing the pressure and exposing the glistening dough inside. a button down white shirt tucked into white pants with an equestrian-style thin blue ribbon wound around a neck (without the Adam’s apple) for Halloween this year. I haven’t dressed up in a costume in far too long. I haven’t laughed in just as long.